In a European day of action, coordinated police operations have taken place in 8 EU countries (Belgium, Bulgaria, Germany, Denmark, Finland, Ireland, Romania and the UK) against individuals and gangs behind the theft of smart phones. In total 213 individuals have been arrested under the auspices of Operation Ringtone (including 120 in the UK, 33 in Bulgaria, 10 in Germany, 3 in Romania where an additional 120 suspects were identified, and 1 in Sweden) and 2401 mobile phones seized. Europol cooperated closely with participating EU Member States, coordinating activities from the operational centre in The Hague on 20 March 2014. Europol also provided on-the-spot support through the deployment of a mobile office, enabling real-time access to Europol’s databases. 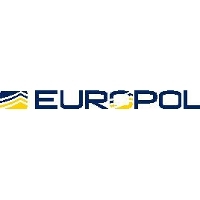 Information about identified criminals and the volume of mobile phone crime has been shared between Europol and a large number of countries for some time. Several coordination meetings were held as it was recognised that police forces across Europe were experiencing the same problems, probably caused by many of the same criminals. In an effort to reduce the volume of such crimes it was decided to target the organised criminal networks involved, who frequently change their operational bases to avoid capture or detection by police. The Metropolitan Police Service Commander Christine Jones, who has been leading Operation Ringtone in London for the past year, said: “Operation Ringtone is not simply about mobile phone crime in London, but that which is committed across Europe. “It is a fantastic, progressive and innovative operation. Not only are we working in London and with police forces across the country to tackle mobile phone crime, but through incredible work by our staff and partners we now have reach into Europe to tackle those criminals who attempt to exploit free movement in order to commit offences, often travelling to London and other UK cities for that purpose. Police encourage mobile phone owners to use a security PIN or lock code to prevent their phones being used if stolen, and activate or install tracking applications, which uses GPS to locate your phone if stolen. These apps can lead police straight to the criminal. The police forces participating in the operation are also focusing on the second-hand stolen goods market.